Accessory board for GR-CPCI boards connecting to the PIO expansion connector and providing two serial interfaces (2 x 4 signals). 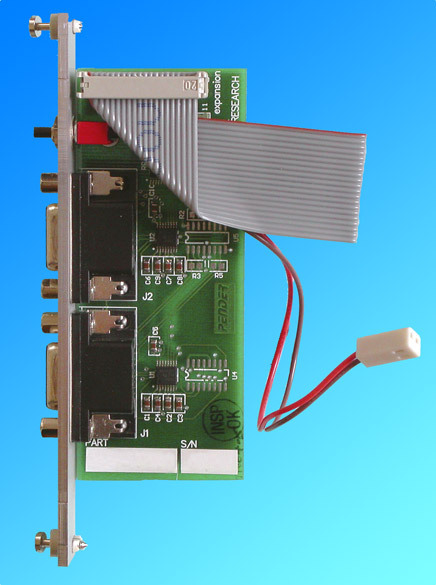 The serial interfaces can either be 2 x RS232, 2 x RS422 or 2 x LVDS interfaces. Functionally, this board is the same as the GR-PCI-SER board, except that it has a CPCI front panel.